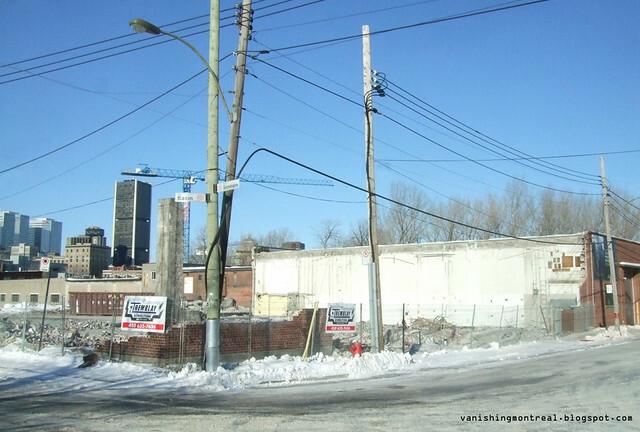 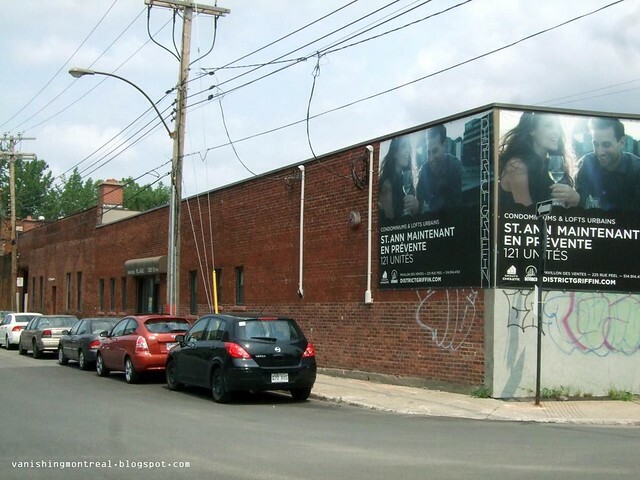 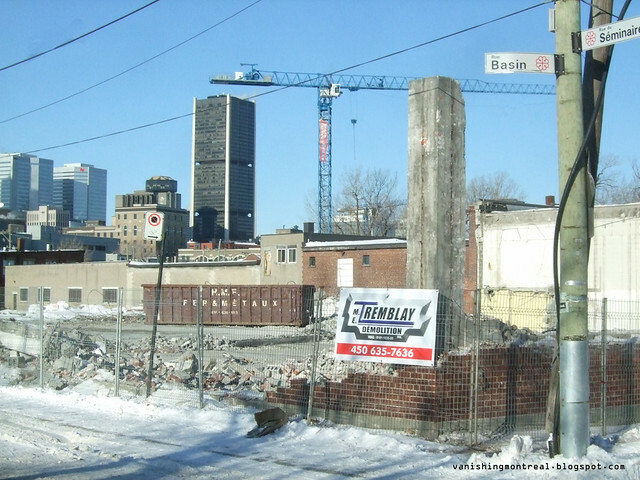 As already mentioned before at VM back in July 2011 here and October 2011 here demolition of the wide building next to St-Ann park in Griffintown has begun. 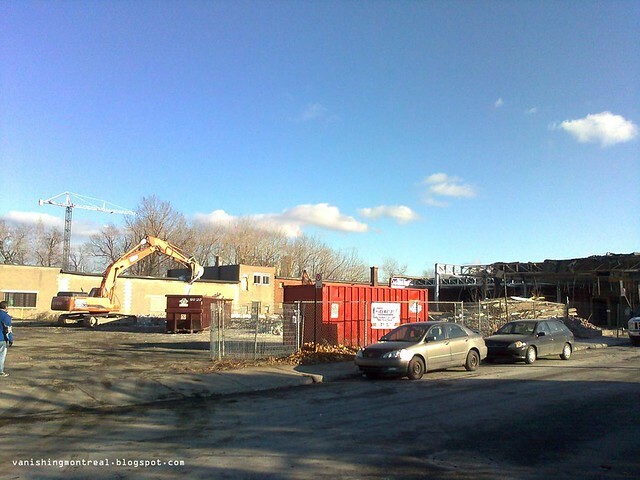 The third photo shows when it started and the top two photos were taken two weeks ago. 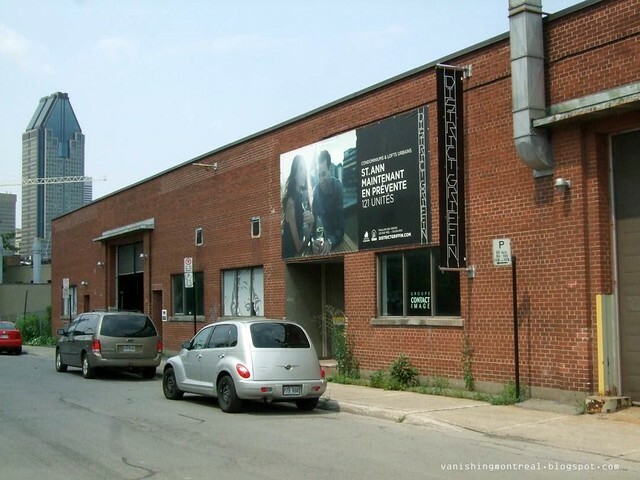 The two last photos were taken last summer.